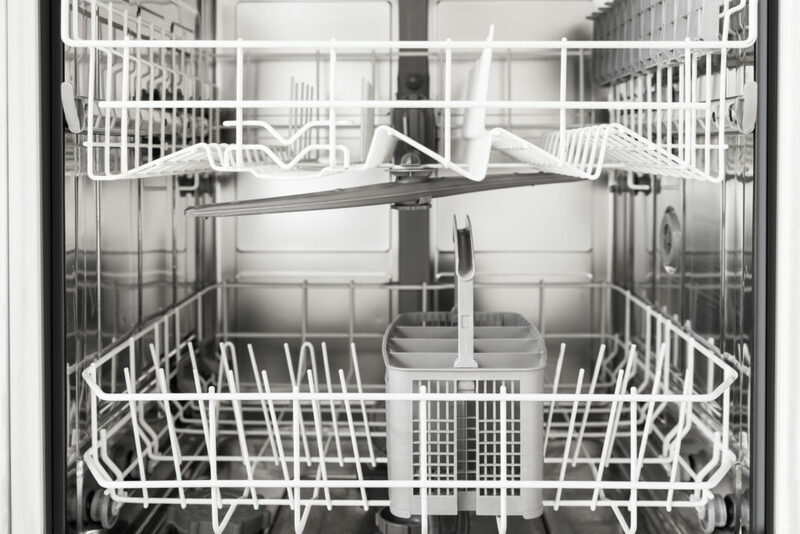 A dishwasher that allows standing water at the base of the unit can be a cause for concern; especially when it hinders the overall performance of your machine. It can lead to unclean dishes, and even scalding if the water temperature is too hot. As well as this, you may end up spending extra time drying the dishes once the washing cycle is complete. Whilst being a fairly common dishwasher problem, there are many DIY fixes that you can complete at home without the need for the attention of an appliance repair specialist. However, it is important to remember that the appliance must be switched off at the mains before you attempt any form of at-home repair. Is my dishwasher filter blocked? A blocked filter is one of the main reasons why your dishwasher won’t drain water properly, so it’s always best to ensure there aren’t any blockages before you examine individual elements. Remove the lower basket from the basin of the dishwasher and remove the central filter. This filter should be cleaned with hot water and detergent to remove excess food, waste or debris that has collected over time. Once the filters are clean, insert the part back into the dishwasher. 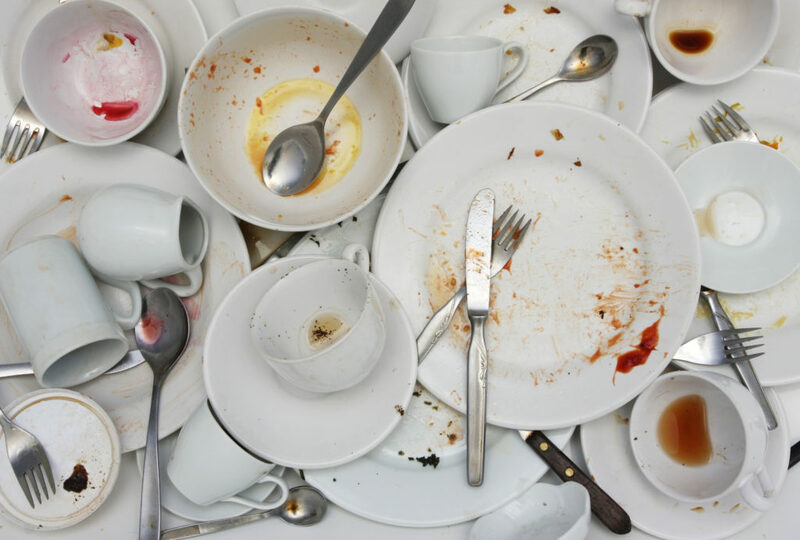 This kind of maintenance should be made routine, as if you unintentionally leave food on your dishes, it can get clogged and prevent water from exiting the appliance. Is my dishwasher timer faulty? Newer dishwasher models can use a mechanical timer to time the cycles of your machine. If this becomes faulty or doesn’t work properly, it can lead to your appliance thinking the cycle has completed when in fact it’s only midway through. The timer used to operate this can usually be found in the control panel and be re-configured according to the manufacturer’s guidelines. Is my dishwasher drain pump functioning correctly? The drain pump is a section of your dishwasher that drains excess water from the unit once a washing cycle has been completed. This can be driven by a motor, but if this part becomes faulty it may lead to incorrect drainage and excess water being stored inside the dishwasher. Some models of dishwasher use a separate drain pump, so checking that there isn’t any kind of obstruction between the output and inputs of the pump can assure you that this isn’t broken. Is my dishwasher valve flapper broken? The valve flapper is a part of your machine that allows water to flow in one direction. Not only does this allow clean water to enter your machine, but it also prevents dirty water from re-entering the washing compartment. If this part is blocked or faulty, it can lead to excess water being stored within the base of your dishwasher. This means that dishes will not be cleaned properly as dirty water is not able to exit the appliance. You can check that the valve flapper is functioning correctly by ensuring that it opens fully during the drain section of your washing cycle, but is closing once washing has begun. As you can see, there are a number of ways that you can fix a dishwasher that won’t drain, all without the need for specialist attention. However, if you cannot find a fault with your unit, you may want to consider booking a dishwasher repair with one of our helpful appliance experts.